Entering a new financial year means there is always much to do! 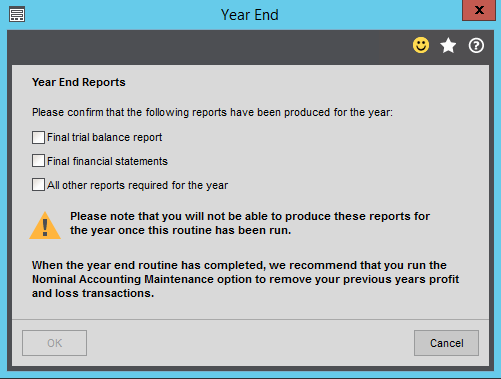 One of the things on that long list will be to running the Year End process in your accounting software. What do we mean by Year End? It is a procedure in which you close off the previous accounting year and open a new one. An accounting year does not have to be the same as the calendar year and in many cases, it is not. Nor does it have to be a 12-month period. Some organisations use longer time frames to get multiple sets of accounts in sync. However, this routine does need to be run to ensure that the financial reporting can be done, and the Year End accounts are complete. There are a number of basic steps to work through in order to run the Year End Procedure for Sage 200cloud. Whilst not overly complex they do have to be done in a particular order! Below is a list of the steps involved in the Sage 200cloud Year End procedure. 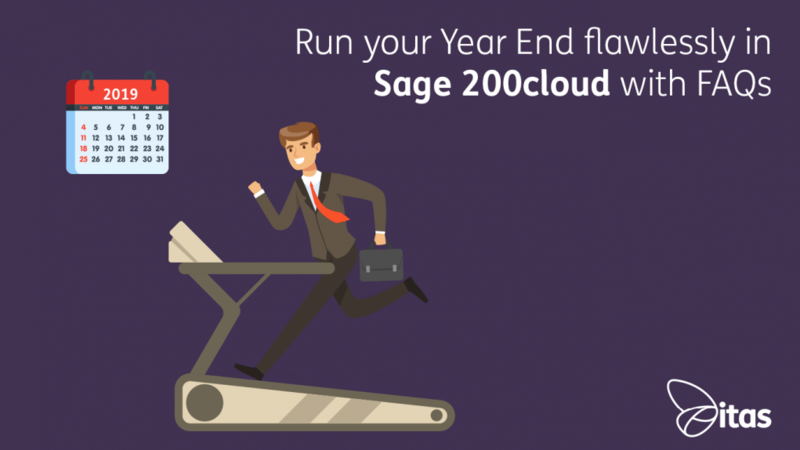 What steps do you need to follow to do a Sage 200cloud Year End? Whilst you should be able to complete most of these steps yourself, there are a couple highlighted below that may need assistance from your Support Partner or your internal Admin. These are marked with an asterisk. For those of you who prefer to work through these steps in your own time, we have a library of FREE step by step guides complete with screenshots for each stage. To access the Year End guide, or any of our other guides including Bank Reconciliation or VAT Returns – just click on the link below! Can I continue to post future year transactions even though I have not closed the current year? All Ledger transactions will be posted to the Sales, Purchase or Cash Book in the applicable period according to the transaction date. Nominal Postings associated with the Ledger transactions will be posted to Deferred Postings in the Nominal and will not update the Nominal until after the year end is run. Any Aged Debtor/Creditor reports will include these postings – so use Retrospective reporting for current year reports. Future year VAT transactions will be reported to the VAT return should the VAT period reporting date be ahead of the Year End date. Can I post prior year transactions once I have closed the year end? Yes, but they will appear in the current year period values. Can I post Prior Year Audit Adjustments? Yes, this needs to be turned on in the Nominal Ledger Settings and it will make postings that will affect Prior Year Reporting. These postings will appear in the transactions and show as Period 12 (Prior Year). I can’t post any Future Year transaction dates – they appear in RED, why? Check the transaction Date settings: Accounting System Manager, Settings, System Settings. Click the Transaction Settings Tab at the top. If ”Use Accounting Based Validation” is selected, change the “Future Years” to Acceptable. This will warn you when entering future years dates by showing as yellow, but will allow the transaction to proceed. I have copied my data to a prior year company and want to post prior year transactions. Does it affect both data sets? A: No, The prior year posting only affects the current year B/F values. If you want to have the values in the previous year, you have to post into both datasets which is not recommended. Hopefully, with the combination of our frequently asked questions, guides and blogs you will breeze through your Year End routine, but if you are still struggling contact our Sage 200cloud support team.